A treasure-trove of Connecticut vacations is sandwiched between the urban sprawl of New York, and the vast wilderness of Northern New England. And miles of winding back roads and hiking trails… Connecticut is an outdoors-lover’s paradise. It’s a place to feed the soul. Connecticut vacations are for antique collectors and bargain hunters… for adventurers prepared to discover places where history comes alive… and for those seeking thrills and entertainment. 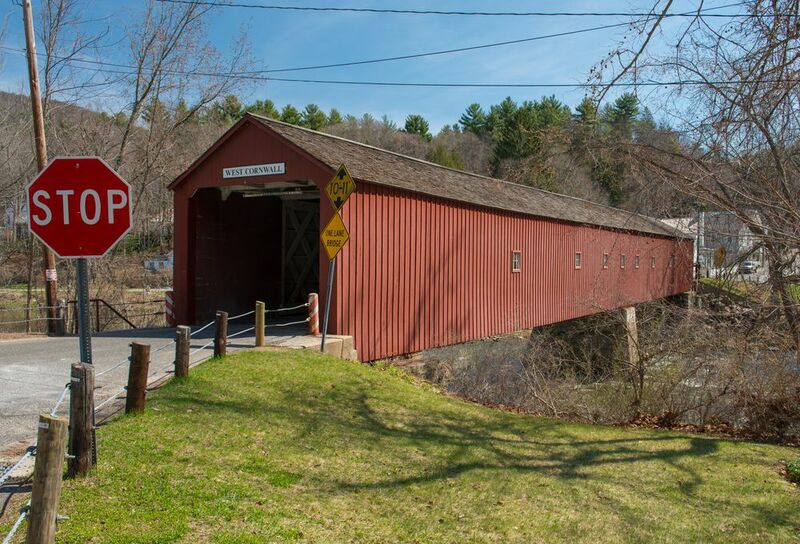 Connecticut vacations are full of quiet New England towns… inspiring saltwater views… wonderful restaurants, colorful arts and culture… and winding country roads. Within its boundaries lay the Appalachian Trail… 16 wineries to tour and taste… the oldest theme park in America… quality entertainment to rival Las Vegas… the museum of America and the sea… 200 million-year old Dinosaur tracks… and the world’s largest Native American museum. And there’s a lot more waiting for you in these pages. Get oriented with this destination-packed map as I do a whirlwind tour of Connecticut vacation regions for you. As you follow along you’ll find links to click that’ll provide you specific details about an area and its attractions, together with travel and lodging information you’ll need to know. This’ll help you plan your Connecticut vacations and getaways to suit the lifestyle you want. 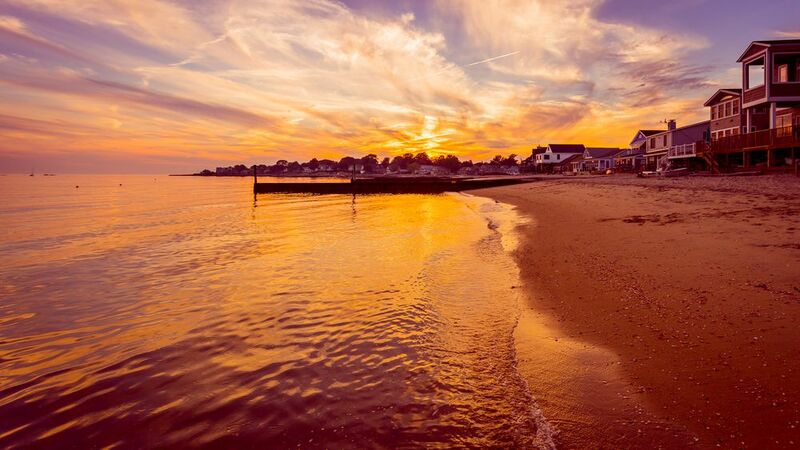 Though close to the Big Apple, Fairfield County is the perfect antidote to the frantic pace of city life. You’ll find scenic drives throughout, and the western start of the Connecticut Wine Trail in Shelton. Blend history and nature in Bridgeport by visiting the Barnum Museum, devoted to the life and work of P.T. Barnum, and the hands-on displays at the Discovery Museum. Also in Bridgeport you’ll find the only zoo in Connecticut – Beardsley Zoo. In close-by Norwalk you’ll be fascinated and entertained as you explore the exhibits at The Maritime Aquarium. Vacation shoppers have Greenwich and Stamford for regular stores, and antique shop destinations throughout the region for collectors and bargain hunters. This region of Connecticut is truly a nature lover’s paradise, rich in attractions, and containing one of the most beautiful villages in the whole of New England – West Cornwall. The Appalachian Trail cuts through this part of Connecticut as it heads into the Berkshires of Massachusetts. Other popular hiking and picnic areas include Kent Falls, the wildlife management area in Session Woods, Burlington, and Weir Farm in Ridgefield, where Alden Weir and friends were inspired to paint many Impressionist landscapes. America’s first theme park was not in California or Florida, but in Bristol, Connecticut, at Lake Compounce Theme Park. The town of Bristol is also home to the Carousel Museum of New England and the American Clock and Watch Museum; both provide an entertaining look into a less harried time – excuse the pun! If train rides and golden age railroad equipment gets your Connecticut vacations juices pumping, then you’re in the right place. The Danbury Railway Museum in Danbury, and the Railroad Museum of New England at Thomaston, both offer opportunities for rail excursion trips, and tours through extensive collections of rolling stock. The Northwest region of Connecticut also contains seven wineries on the Connecticut Wine Trail, plenty of exploring routes for the antique collector, and a bunch of scenic routes through the invigorating Litchfield Hills. The central region is big and deep, stretching from the Massachusetts border in the North, down to Long Island sound in the south. Within this region lay the state capital of Hartford, and the majestic and geological wonder of the Connecticut River. 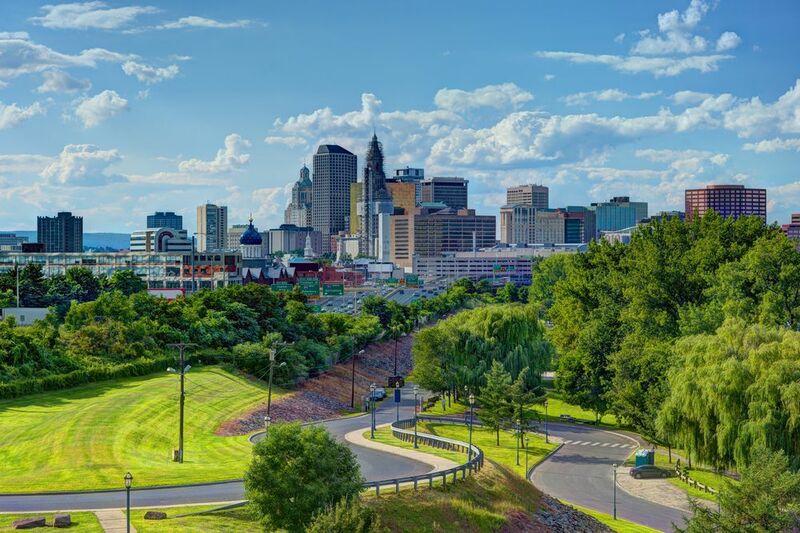 Hartford, long known as the Insurance capital of America, has within the city, art and culture to please all tastes, along with first-class hotels and dining. If you’re out for a show or theater and a meal, then look no further. The Mark Twain House is a must-stop on your Hartford trip so you can tour the rooms where the wit of American literature penned his most-beloved works. 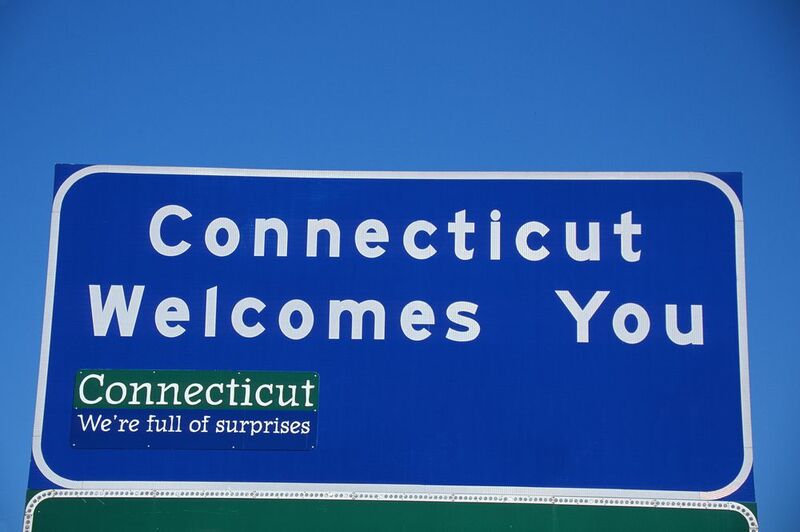 Also in the Hartford area is Science Center of Connecticut, where you can discover the secrets of the universe, watch spectacular laser shows, and learn all about the ecosystems of the region. If sampling Connecticut’s rich transportation past excites you, then head on over to the New England Air Museum at Windsor Locks, or towards Essex, where you can take a trip on a steam train at Essex Steam Train and Riverboat attraction. Also in Essex you’ll find the Connecticut River Museum where you can explore America’s first submarine. And if you’re still in the mood for more historical forms of transportation, get over to East Haven and check out the Shore Line Trolley Museum and see the primary form of transportation in Connecticut during the late 1800s. I must admit I’m a sucker for anything related to extinct animals, and if you’re the same, then pencil in a trip to Dinosaur State Park in Rocky Hill, where you can view under their geodesic dome, one of the largest dinosaur track sites in North America. Sharing with Massachusetts a large area known as The Last Green Valley, eastern Connecticut displays its most easily accessible rural routes. Within this large playground corridor are tons of bike routes, hiking trails, and picnic areas. To the valley’s south lay the entertainment and gaming centers of Mohegan Sun in Uncasville, and the famous Foxwoods in Mashantucket. Combined, the two make the largest casino complex in the world. Foxwoods is on land owned by the Pequot Native American tribe, and while in the area take time out to visit the Mashantucket Pequot Museum for an amazing journey into the tribes past, and its plans for the future. If you’re on Connecticut vacations with kids you’ve got to visit Nature’s Art and Dinosaur Place in Montville. Here you’ll find the wonder of unearthing your own gems and fossils, and then play among a park and nature trail featuring more than 20 life-sized dinosaur sculptures. These next places are on the coast and have a distinct nautical flavor. The town of Mystic is host to the American Museum of the Sea at Mystic Seaport, and the delights of the Mystic Aquarium. And lighthouse fans – like me – can ogle at the nearby Stonington Harbor masterpiece, and its museum. For beach activities look no further than Ocean Beach Park in New London. Here you can stroll on the boardwalk, entertain yourself on the rides and arcades, or take the plunge in either saltwater or pool swimming. Connecticut’s eastern region contains five wineries on the Connecticut Wine Trail, a multitude of scenic rides, including the famous Route 169, and plenty of places to satisfy an antique collector’s thirst.